Yes, I know, I’m a slacker… it’s been over a month since I got back from Herzliya and wrapped up my Verification Now 2008 World Tour and I still haven’t (until now) posted photos from Taipei and Herzliya. That’s not exactly true – the photos have been up on Flickr for a month or so now but I never had the time to write a post about them. Now that I’m back home and mostly over what turned out to be a wicked case of jet lag, I’ve finally had a chance to sit down and organize my thoughts and notes on my trip. 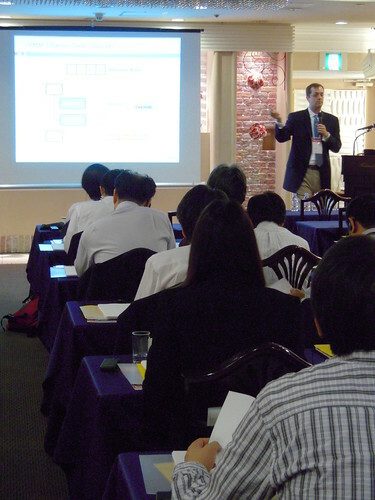 Monday, October 27 was the Verification Now seminar in Yokohama, Japan. The event was great fun for a number of reasons, not least of which was the pleasure of meeting readers of this blog and several new folks face to face. Of course, the day was made just that much more exciting by the fact that the translators (two very nice women who nonetheless reminded me of Patty and Selma from The Simpsons) had only had a day or two to go over my slides and hadn’t availed themselves of the opportunity to view a couple of recordings we made of my presentations in Santa Clara. I ended up having to spend about two hours walking them through both of the presentations (all the while losing my voice). I had a couple of comments that the translators weren’t able to keep up with my speedy pace, and one other saying they did just fine, so I’m not sure how things turned out in the end. Regardless, giving the presentations to a foreign audience was a great experience and ensured I did a much better job in both Taipei and Herzliya. I probably should have mentioned this earlier (like, I don't know, a week and a half ago) but if you're curious what I'm doing at any given time while I'm traveling please check out my Twitter feed. I'm in Herzliya, Israel now. Just arrived yesterday evening from Taipei. 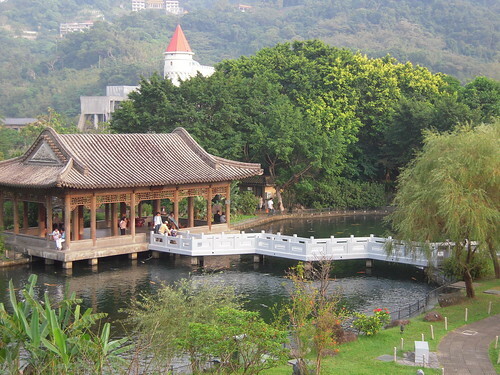 The seminars in Yokohama and Taipei last week went very well. I must apologize for speaking too quickly in Japan - I apparently was making it quite difficult for the translators! I slowed down quite a bit though for my session in Taipei on Friday (there were no translators there) so those attending the Yokohama session may at least take solace in the fact that I was able to practice my timing for subsequent sessions! We're expecting a good sized crowd for the session in Herzliya tomorrow - I'm looking forward to meeting all of you who plan to attend! Yesterday afternoon I arrived in Japan in preparation for the Verification Now seminar coming up tomorrow (Monday, October 27) in Yokohama. Verification Now - One Down, Four to Go! 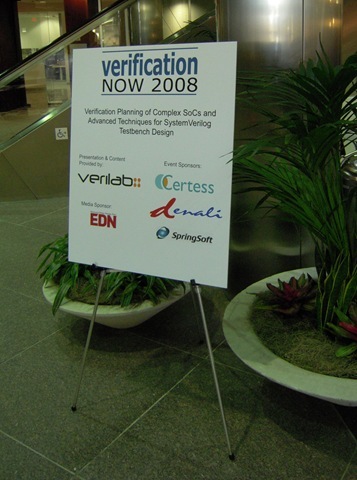 Last Tuesday I was in Santa Clara presenting the first of the 2008 Verification Now seminars (the next one is tomorrow, October 21, in Austin). About 50 attendees showed up to hear presentations on Requirements Based Verification, Layered Stimulus Generation in the VMM and OVM, and to see demonstrations from Certess, Denali, and SpringSoft. The trip was a bit of a marathon – I flew out to Santa Clara Monday afternoon, arrived at 5pm, and then headed over to the Denali office to work on recording a portion of the material in webinar format to assist with the translation efforts for the seminar in Japan. Apparently we’re going to have a translator in Japan live-translating my presentation. Participants will be able to wear headphones and listen to the translator if they don’t like listening to me directly, UN style! I was at the Denali office until around 8:30pm or so, and then headed back to the hotel to get some rest. Unfortunately, some pre-seminar jitters kept me awake later than I’d hoped (worrying that I wouldn’t hear the alarm and would be late to my own seminar ;-). Tuesday we'll be kicking off the Verification Now "world tour" in Santa Clara. As I mentioned a few weeks back the seminar consists of two topics. As many of you know, DVCon is being held February 21-23 in San Jose. Looks like there will be an interesting technical program. The Wednesday tutorials will cover assertion-based verification, practical usage of the AVM and VMM SystemVerilog methodologies, formal verification, and SystemC. Thursday will be focused on SystemVerilog, SystemC, and physical layer verification, with the afternoon "bigwigs" panel, now renamed the "Troublemakers Panel" moderated by John Cooley. I was excited to see that Jerry Vauk from AMD will be participating in the "Blended Coverage: A Recipe for Success" panel discussion moderated by Harry Foster from Mentor on Friday. I've worked with Jerry in the past, so it will be interested to hear his views on the topic. The rest of the day will include presentations on the SystemVerilog DPI, formal verification, advanced stimulus generation, low power design, and building reusable IP (among other things). I am planning to attend DVCon and hope many of you will be there as well. In fact, I'd love to meet up with any of you who are readers of Cool Verification. If you're going to be in San Jose during the conference please send me an email (jl at coolverification dot com) and let me know! Also, if my poor, depleted laptop battery can handle it, I'm going to try to post my thoughts on the conference live throughout each day on Cool Verification. If somehow that gets to be technically difficult I'll upload a report each evening. If there is any specific information that you'd like to hear about, drop me a line and I'll try my best to find out for you! 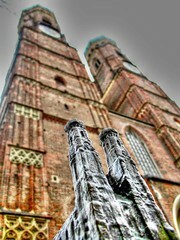 Originally uploaded by Digitaler Lumpensammler. Updated August 16, 2006: Fixed a typo. As I write this I'm sitting at the airport in Austin getting ready to start a three week trip to Munich. Given all the problems over the last several days with terrorist threats to air travel coming out of the UK, I decided I ought to try to get to the airport a bit earlier than usual. I was expecting heavy traffic (today is the first day back to school for some districts here in Austin), long lines at the check-in counter, and long lines going through security. As it turns out, there was very little traffic (though I wasn't actually driving), no lines at the check-in counter (in fact, there wasn't anyone else there checking in! ), and no lines at the security checkpoint. All in all, it took me about 10 minutes from the time I entered the airport to the time I got to my gate... 3.5 hours early! It's been a couple of years since I last visited Munich. Last time I arrived about a month after Octoberfest. This time, I'll be there about a month before Octoberfest. Bummer! I'll be traveling for the next few weeks ramping up on a new project. I know there are at least a few of you reading this from Munich, and I'd be interested to meet you (or catch up for those of you I've already met). Drop me an email and let me know if you'd like to get together. $10 For a Chance to Blow Up Busch Stadium?!?!?!? A friend of mine just sent me a link to an article from the St. Louis Post Dispatch entitled Cardinals will raffle chances to blow up Busch. I grew up (for the most part) in St. Louis and enjoyed watching the Cardinals play in Busch Stadium. I went back this year for the first time in a year and a half and got to go to a Cardinals game at Busch Stadium for the last time as it will be demolished at the end of the regular season. Amazingly, they've already got half of the new stadium built. All that 's left to do is demolish the old one and finish the other half of the construction. I'd definitely take a trip back to STL to get a chance to push the button. Looks like all I need to do is shell out $10 and the task is mine, all mine... muhahahahah!